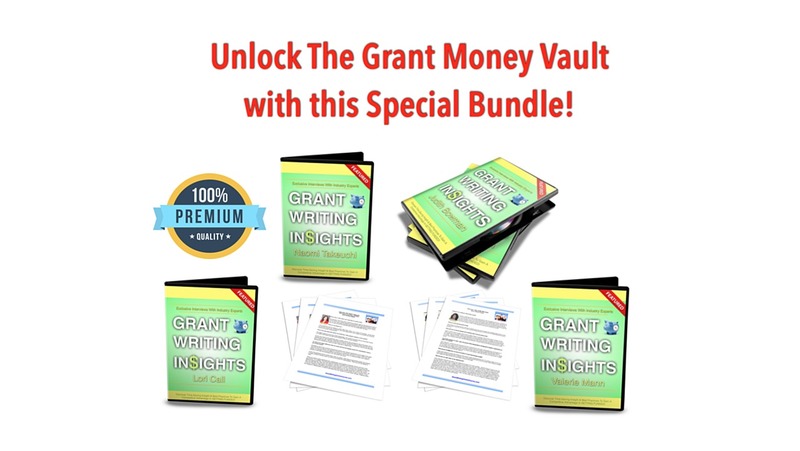 Pearls Of Wisdom From 20 + Year Veteran Grant Writer Who Reveals Her Secrets To Winning The MONEY! You'll Be Amazed At Just How Much Insight Can Be Gleaned From An Exclusive Interview With The Pros...But After You Hear This You'll Be Ready To Approach Funders With Greater Confidence The Right Way! When you've been writing grants for over 20 years you definitely have some stories to tell and insight to share. In this special interview with Judith Bowman you will discover a veterans approach to developed winning proposals and learn several pitfalls you'll want to avoid! Gain insight on how this grant professional develops compelling projects worthy of being funded! You will be able to download a copy of this to add to your Grant Proposal Library so you can keep it forever! Plus, you won't have to write one word down because it also comes with a transcription of the interview.